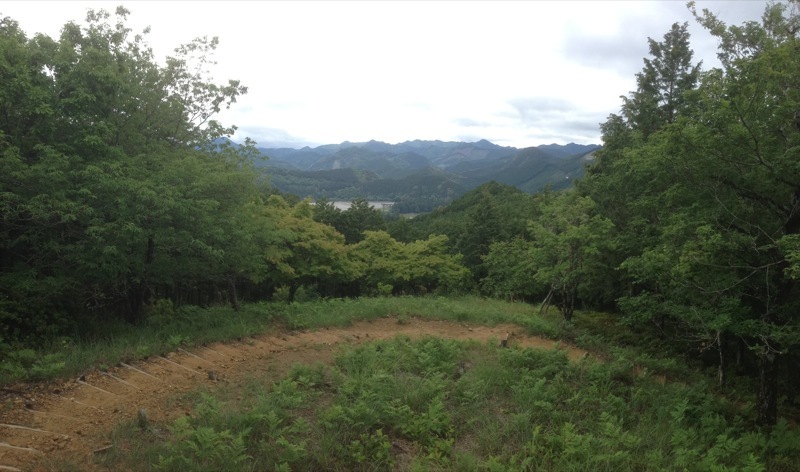 This view overlooks the grounds that had the biggest shrine ever built on it. But floods washed it away. Now, there is a giant gate (also the biggest gate in Japan) marking the spot where the temple stood. I you look through the trees to the water you can just make it out.